Turbo Bcce was invented in Syracuse with rules that make it perfect for our city. 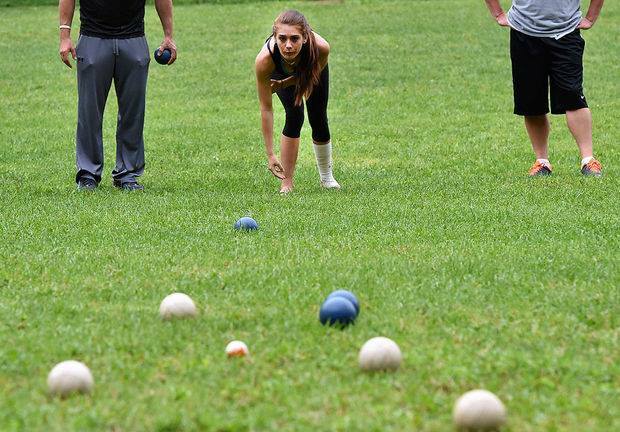 Here are 10 more reasons to try Turbo Bocce. 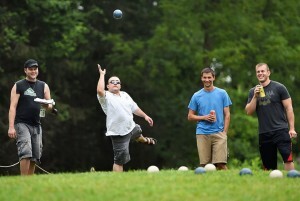 Did you know that bocce is considered America’s most social sport? Think it over, and you’ll see why that makes sense. 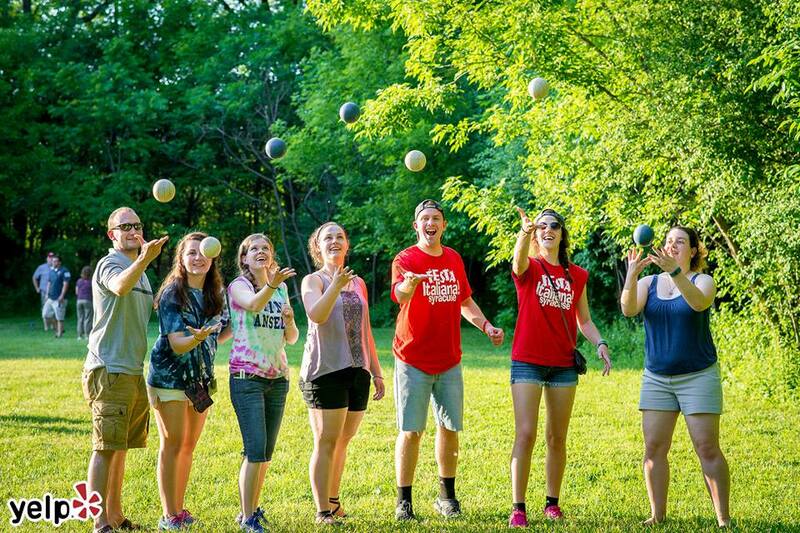 When you play bocce you’re standing right next to your opponents, interacting with them. In our league you’ll often find yourself sharing drinks and food with the people you are playing against. You can’t help but meet new people and make new friends. Now contrast that with other recreational sports. If you play kickball or softball you are not really interacting with the other team because you are in the dugout when they are on the field, and vice versa. Volleyball similarly segregates people by keeping opposing teams on opposite sides of the net. In golf you are segregated into foursomes. If you really want to expand your social circle, bocce is the best way to do it. There are hundreds of people in our league, and before the year is over you will be sharing a drink, a bite to eat, and a game with most of them. We play our games at Sharkey’s Bar & Grill in Liverpool, and they treat us great! If you want to have a drink before you play you can take advantage of Sharkey’s legendary 2 for 1 EVERYTHING Happy Hour. If you want to join us for dinner after your game, Sharkey’s puts out a buffet just for our bocce league to enjoy! 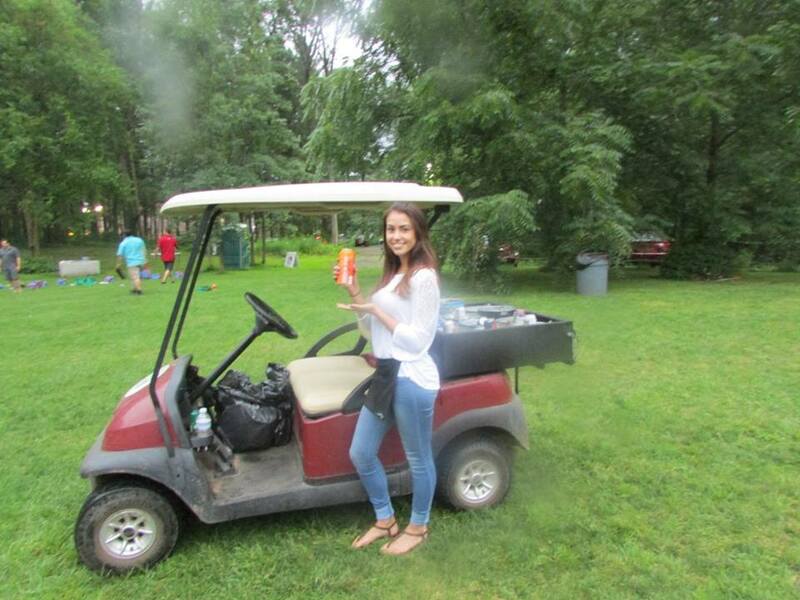 Best of all, during the games Sharkey’s sends waiters on golf carts to deliver food and drinks right to us while we play! And the specials can’t be beat! 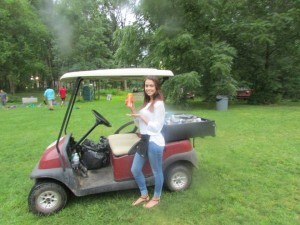 My favorite option is the bucket of beer which is great to split among your team and your opponents team too! 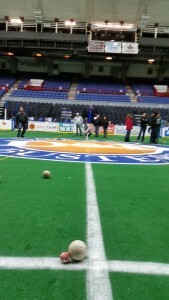 Turbo Bocce makes you the star of the show! We keep more comprehensive team and individual stats than any recreational league in America! Every year we give out 10 individual awards and 4 team awards at an end of the season party For team statistics, you receive awards for winning the regular season championship, playoff championship, toughest strength of schedule yes we keep that! 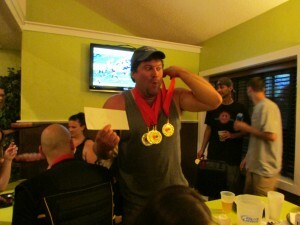 ), and most improved. For every individual player we track five statistical categories and you can win medals in all of them. 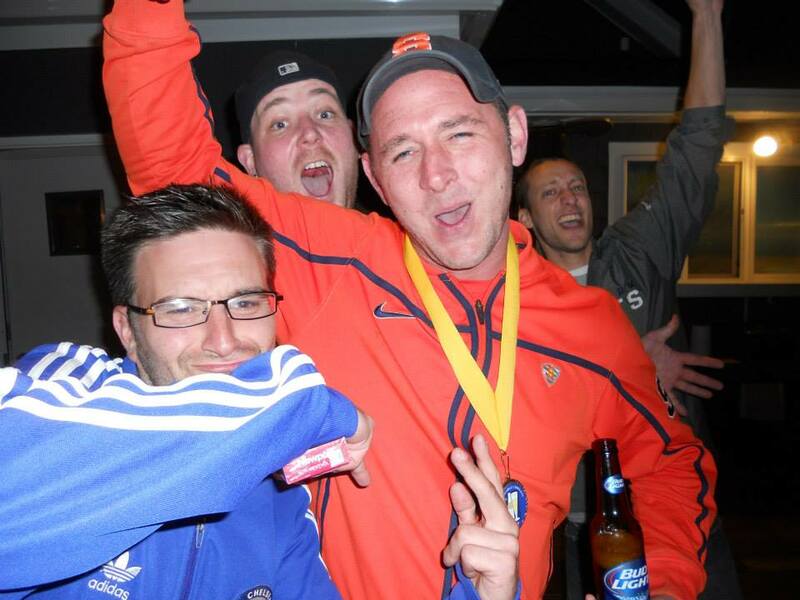 You can also win Rookie of the Year if you happen to be a rookie, playoff MVP, and Best Bocce Player in Syracuse (for winning our one-on-one tournament). Who doesn’t love free money? Every week Turbo Bocce selects two teams at random to secretly serve as the Bounty team of the week. If you happen to beat them, you win cash! 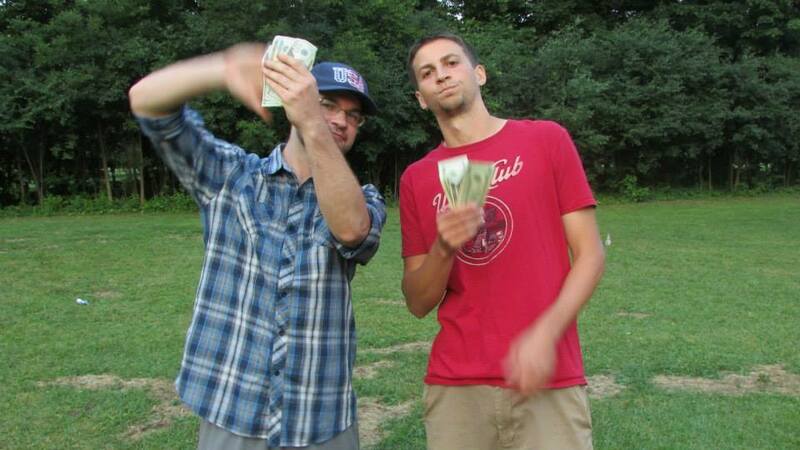 You also win a whopping $800 for winning the Turbo Bocce Championship (we pay out for second and third place as well). 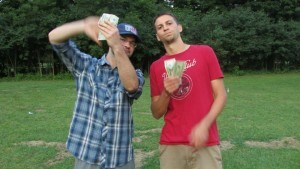 All total, Turbo Bocce will give away $3,000 this season. Wouldn’t it be sweet if you won it all? It really doesn’t matter whether you are old or young, a man or a woman. 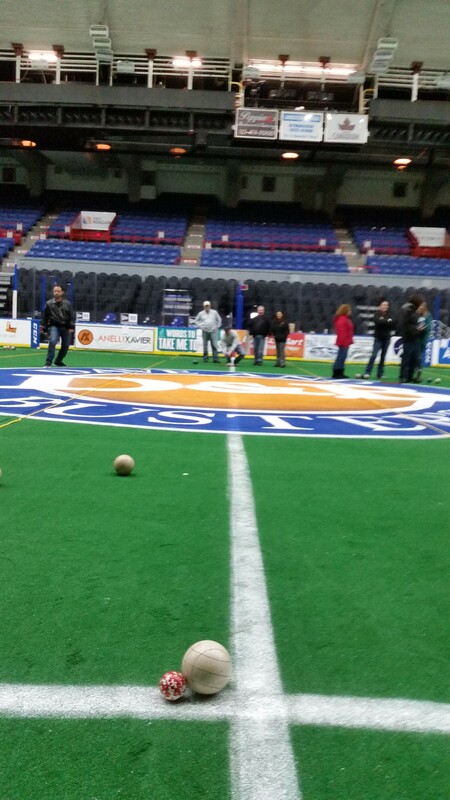 Bocce is tons of fun for anybody at any age! 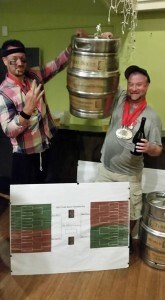 There is a reason bocce is America’s fastest growing bar sport. Actually this article lists 5 reasons. We are always holding exciting events and parties. Check out our annual triple crown race which determines, among other things, the best bocce player in Syracuse! We have held bocce tournaments in fun places like the War Memorial and City Hall. We’ve done fun activities like breaking the Guinness World Record for longest marathon bocce touranment, and putting a float in the St. Patrick’s Day parade. We’ve held Spring Galas, and big end of the season parties where everybody in bocce can come together, get free food and beer, and hopefully win some awards! You are going to want to enjoy the summer and the great weather it offers. We have the best way to do that. We provide the food, the drinks, all the equipment, and the games. All you have to do is show up after work, soak up that sun, and have fun! When we invented Turbo Bocce, one of the main goals was to make it laid back and easy to play. Turbo Bocce has no set schedules. We have everything set up and ready to go by 5 pm, and we take everything down when it gets dark (around 9 pm). Your game will take about an hour to play and you can show up any time during those hours to play it. If you show up at a different time every day that’s not a problem – there are hundreds of people playing Turbo Bocce so we will always find you a game. Just show up whenever its convenient and we will match you up with another team who is ready to play! There are also two make up weeks built into the season, so missing a few games is no big deal. We found a way to make bocce even more fun and exciting, with two genius innovations! The Starting Box and the Turbo Round. Traditional bocce is played in a court, but gets a little boring because you are basically shooting the same shot over and over. Backyard bocce offers a lot more options, but lacks structure. 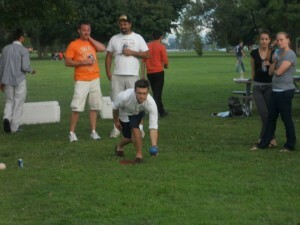 We play a version of backyard bocce where everybody has to shoot from the same spot – the starting box. It gives structure, and allows defense to be brought into play while giving you the freedom to vary your shot and the area where you play. 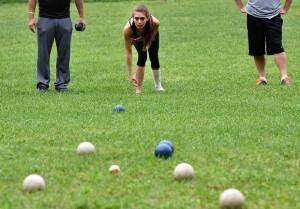 Both traditional and backyard bocce suffer from too much measuring, which slows the game down. We have solved this problem too with a Turbo Round, which is a sudden death one-on-one shoot out to sett ties and disputed balls. After all that, I still have to say . . . don’t take our word for it! Come check Turbo Bocce out free of cost or commitment any Tuesday or Wednesday during the summer at Sharkey’s Bar & Grill – 7240 Oswego Rd, Liverpool, NY 13090 – on Route 57 right across from Flamingo Bowl.